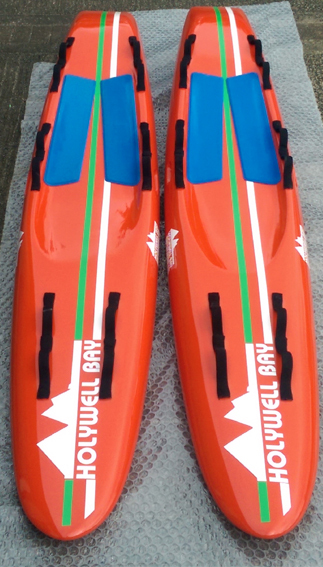 I guess it is safe to put these two boards up on the website now that Santa has been and gone for 2014……………..both have GoPro fittings so should see some footage this summer. 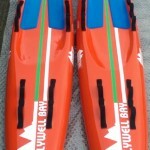 Two new Masters race boards for Holywell Bay SLSC. 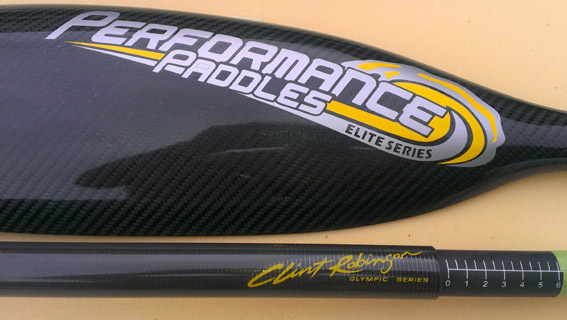 At 22″ wide and with a wider kneewell they give the paddler more stability. When that big right hander begins firing up the north end……….you can never have enough handles !! 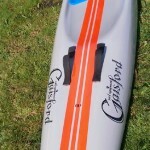 To adhere to revised ski and board specifications in Australia all Gaisford skis and boards are to have flourescent nose and tail tips as of November 2012. This should help give a visual of skis and boards lost in the surf. 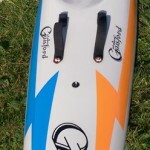 Designed in collaboration with David Green of Greenstick Surf, the Vanguard single ski is in production. 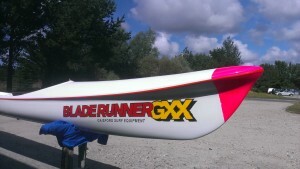 Greenstick Surf is supporting George Haynes with this mean looking machine. 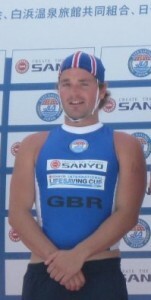 This ski is made to current ILS specifications for use in ILS World Championships. 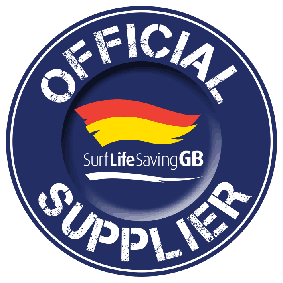 All sales are conducted by Greenstick Surf. An adjustable leg length option will be available at the end of May. Using a push button stainless steel slide for the footplate system to give easy adjustment (requires no tools) and means no rust or brittle plastic to break or twist. Referee for senior nationals 2011 at Polzeath in September plans to contest the Masters category in August on a new Bladerunner GM. 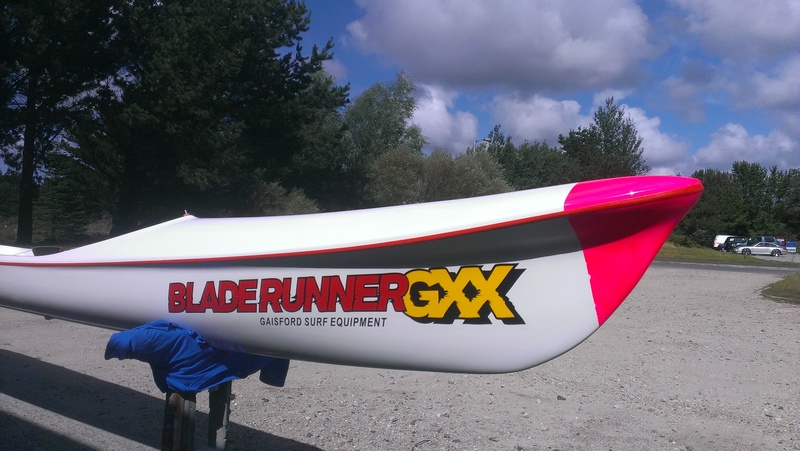 Took me ages to talk him into a sensible colour design. He wanted £20 notes all over it……….I wonder why ?